The sixth installment of the legendary series of turn-based strategy games that allow us to control a selected civilization throughout several thousand years of its history. It was traditionally developed by Firaxis Games led by Sid Meier, the franchise’s creator, himself. 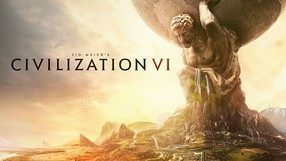 Gameplay-wise, Civilization VI combines together the well-proven solutions of its predecessors but also introduces several revolutionary changes. The most important one is the city development. Metropolises can now span across more than one field and consist of four kinds of districts: industrial, scientific, trading, and military. The technology development system was also modified, so that every invention offers an additional mini-quest that provides a useful bonus. Significant changes were also introduced in diplomacy, and the combat mechanics now somewhat mitigate the restrictions introduced by the fifth installment of the series. The game traditionally features an extensive and fully configurable multiplayer mode. An economic strategy game belonging to the popular genre of city builders. This one was created by the Finnish studio Colossal Order, creators of the Cities In Motion series. The game is a response to the popular SimCity franchise from Maxis Studios. In contrast to the previous titles from the Finns, this one is not limited to public transportation, letting you build up a whole virtual metropolis from scratch. 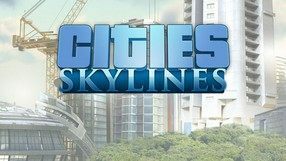 The game is set on maps providing 36 square kilometers of terrain each, where you can build your dream city and take care of its inhabitants by raising new buildings and creating transportation network. Economic aspect is the crucial element to the game – while playing, you have to keep an eye on the city budget, provided by your citizens' taxes, and establish trade contacts with neighboring cities. You also develop means of public transportation to help your citizens get around the city faster. The game features high quality 3D graphics and full mod support. Strategic game with elements of RPG from independent Polish studio Pixelated Milk, in which we command troops taking part in the Warsaw Uprising in 1944. The production is strongly inspired by the popular dungeon crawler Darkest Dungeon. A 2D turn-based strategy game set in an original science-fiction universe developed by the creators of FTL: Faster Than Light. 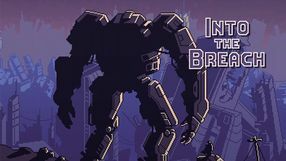 In Into the Breach the player controls small squads comprised of mech robots that protect what remains of humanity against the lurking deep underground aliens. The battles in the game take place on relatively small and procedurally-generated 2D battlefields. They are covered with 64 squares, between which both the player and their opponent can move their units. One’s objective is to defend civilian settlements against the aliens. 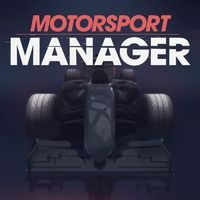 Missions are quite short; however, they pose a considerable logic challenge and offer the players freedom in how they decide to carry them out. Moreover, the player can equip their machines with new weapons and select pilots to operate them – the pilots’ unique abilities have a significant impact on the result of each battle. The retro 2D visuals somewhat resemble what one may have experienced in FTL. RTS is set in an alternative version of the Stone Age, in which people share the world with dinosaurs and mythical beasts, and their survival is enabled not only by natural resources, but also by the magical artifacts left by ancient civilization. 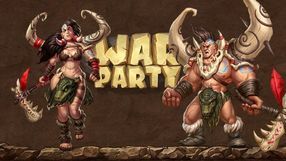 In Warparty you can play alone or in multiplayer clashes over the Internet. An original turn-based strategy game set in a universe that combines elements of a Western and fantasy setting. 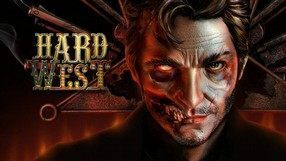 The title was created by Polish developer CreativeForge Games, consisting of creators of such franchises like Call of Juarez and Dead Island. The game is set in the 19th-century Wild West. Already troubled by lawlessness, the land gets stricken by a series of supernatural phenomena. In terms of gameplay mechanics the title resembles the Heroes of Might & Magic franchise, allowing you explore a vast world in search of new missions, secrets, and treasures. The key element is the turn-based combat. Each bullet can be deadly, but you can aid your troops with various potions, medics, and shamans. The gameplay is enriched by various tactical factors, such as the influence of the sun, interactive environmental objects, bribery, or even an ability to guide a bullet. The game also features expanded character progression system. Remake of the economic strategy released in 1997 on the PC and the original PlayStation console. 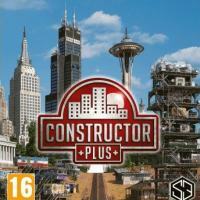 Constructor Plus offers improved graphics and a range of new features, the most important of which is the ability to go into space. The game was developed by System 3 Software. 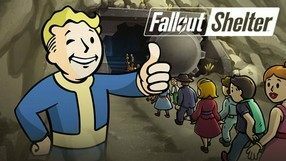 A mobile spin-off to the post-apocalyptic Fallout franchise, accompanying the fourth major installment. In contrast to the main-stream Fallout games this one is a simulation strategy, in which you take on a role of a vault overseer and have to look after its inhabitants. The game has you expand the vault by new rooms, including living quarters, and public facilities, to provide for all needs of your dwellers. You also have to gather supplies, which requires you to send expeditions outside the vault, having previously equipped (or not) your men with weapons and protective gear. Each vault dweller has their own statistics and gains experience, thus unlocking new abilities and equipment. 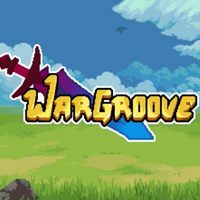 Wargroove is a turn-based strategy inspired by Advance Wars and the Fire Emblem game series. It was developed by Chucklefish. The game is made of twelve story campaigns, in which we can play as one of a dozen or so heroes, each of them leading their own military units. As we play, we move around the game map (we observe the action from a bird's eye perspective), gather resources, manage our army, and fight with our opponents. Exploration, both on land and sea, plays a crucial role in the game. Wargroove also offers a competitive multiplayer (local or online). The game comes with a special editor that allows us to create our own campaigns. Thanks to its simple and intuitive interface our maps and missions are created in no time. An original strategy game with elements of adventure game developed by independent studio Weappy in cooperation with Team 17 Softworks. You take on the role of a chief of police who is about to retire. However, instead of safeguarding the law and order, he decides to use his authority and influence to make a fortune. To this end, the protagonist deals with the local representatives of criminal underground, while trying to keep his actions in the dark. 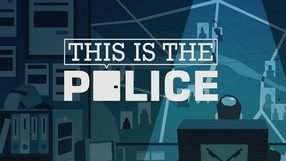 This is the Police features two-layered gameplay, divided into plot and strategy. The former lets you follow the story of the main hero and build relations with key characters. The latter is about planning and execution of criminal operations, while carefully manipulating the actions of police. Moreover, you have to smartly manage your dirty money – safely laundering it for your private needs and investing some into upgrading the police forces. 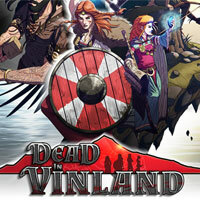 Dead in Vinland is a turn-based strategy with the features of survival games. The players control a group of Vikings who try to survive on in the harsh environment of an island. As such, they have to take care of their needs, create relationships between characters and recruit new members for their society. There is also a world to explore, task to fulfill and turn-based battles to fight. 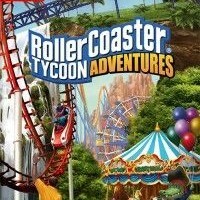 RollerCoaster Tycoon Adventures for Nintendo Switch console is the next installment of a popular series of economic games in which we build and manage an amusement park. The title is based on the mobile RollerCoaster Tycoon Touch, which was released in 2017 on iOS and Android devices. 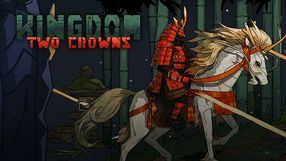 For the King is an interesting hybrid that blends the elements of JRPGs, roguelikes, and strategy games, developed by the independent studio IronOak Games. The game takes place in a fantasy land engulfed by chaos. Heroes, led by the player, decide to defeat the evil forces. Both the world and the adventures within it are generated procedurally. Each time we start, we will feel as if we were playing a different, new game. Gameplay in For the King focuses on exploration (our party moves in turns through a map divided into hexagonal tiles, traveling not only on foot, but also by boat) and fighting with the encountered enemies. Our victory in battle depends on how, and when, we use our party members' abilities and on how good their equipment is. 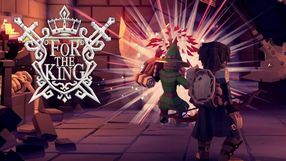 For the King offers a wide range of game modes, both single player and multiplayer. The game has good looking, colorful, and cartoonish visuals. 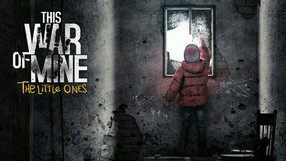 An extended edition of This War of Mine, a unique survival game developed 11bit Studios - the creators of the original - with the 8th generation consoles in mind by. The game inverts the premises of a typical war game, as we do not assume the role of heroic soldiers. Instead, we control a group of civilians surprised by the outbreak of war and trying to survive in a besieged city. The gameplay mechanics remain unchanged, focusing on survival and morally difficult decision-making. As the title suggests, the biggest novelty of the expanded edition is the introduction of playable children, who play an incredibly important role in the on-screen events. Initially, the youngest survivors will, for example, build toys or decorate environments, but with time, thanks to their adult guardians, they shall learn many useful skills that can prove invaluable during subsequent missions. A real-time strategy game by Polish studio Jujubee, in which you play as a leader of one of the 21st-century nations and do your best in order for the citizens to prosper. 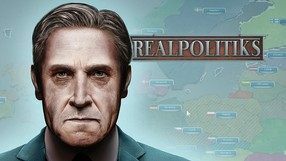 Mechanics-wise, Realpolitiks resembles the popular Europa Universalis series, but the game is set in modern times and takes into account the current specifics of politics and reality. The gameplay focuses mostly on managing the country in all the key fields and requires making many strategic and political decisions, which have huge consequences. You have to take care of such things as e.g. internal policy, diplomacy, economics, armed conflicts or espionage. 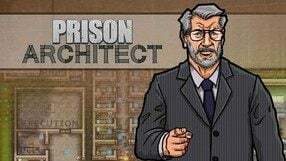 The game emphasizes both the bright and the dark side of power, allowing you to choose your own path of achieving your goals and to decide between doing the right thing and using morally dubious methods. Another major installment in the bestselling turn-based strategy game series that focus on a humorous rivalry between the eponymous worms. In Worms WMD, the basic gameplay principles remain unchanged, and the players still have to eliminate the opposite team using a number of more or less unconventional weapons. The participants make their moves in turns and their actions are limited by a time limit. The game refers to the initial two-dimensional installments of the series, which means that battles are presented from the classical side view. The title does not lack for several enriching novelties, though. These include the possibility to hide inside buildings and to use vehicles that allow us to traverse the battlefield and deal damage to the enemy. 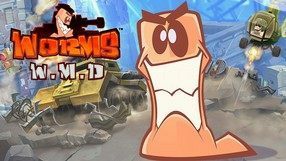 Visually, the production features the characteristic cartoonish visual style, although the worms’ appearance and animation were refreshed. 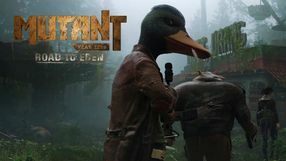 A post-apocalyptic survival strategy game with RPG elements, created by Polish developer Robot Gentleman Studios. You play as the head of a typical American family, who has to provide for his loved ones in the face of an incoming nuclear war. 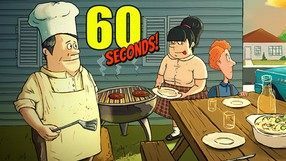 The game starts 60 seconds before the first explosion, giving you one minute to get to a shelter while grabbing the most essential provisions on the way. In the next phase you have to survive for as long as you can using only the resources you've managed to gather, which often force you to make very tough decisions. Sometimes, you have to decide whose daily rations should be reduced, sometimes how to deal with problems at hand, such as a cockroach infestation. Despite its seemingly grim theme, the game features a rather light-hearted atmosphere, evident e.g. in its comic-like graphics. A turn-based strategy game, combining elements of survival, card game, and a gamebook. You arrive at a dark fantasy world, strongly inspired by the Slavic mythology, after the apocalypse. As one of eight Slavic deities, you take care of a small village. You control each villager separately, exploring the dangerous realm, gathering resources, crafting items, and facing various dangers. A set consisting of three popular turn-based strategies with RPG elements. 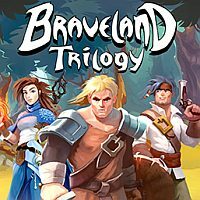 In Braveland Trilogy compilation productions we travel through colorful worlds, perform tasks for their inhabitants and take part in turn-based battles with enemies. 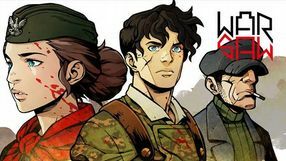 A humorous real-time strategy by Vile Monarch, established by the co-creators of Sleepwalker’s Journey and This War of Mine. 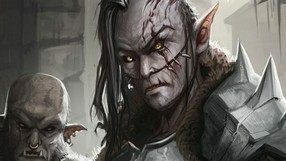 Crush Your Enemies invites you to a magical world of Generia, inhabited by brave knights, noble elves, and likeable dwarves. You are the leader of evil barbarians, who have decided to invade Generia and brutally reduce the number of its inhabitants. This seemingly morbid theme is seasoned with a big dose of humor – the game makes fun of classic fantasy settings and pompous tropes. Crush Your Enemies offers traditional real-time strategy mechanics; you manage your resources, lead units, and conquer enemy territory. However, the game features much faster pace than other games of this genre. The production in enriched by equipment system and boss fights. 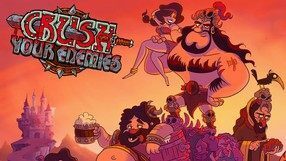 Crush Your Enemies offers an extensive campaign along with a cross-platform multiplayer. A brutal action game in retro style, developed as a commercial edition of a project for Global Game Jam. The title was created by an independent studio PinoklGames from Ukraine. During the game you assume the role of a man who is clearly dissatisfied with his neighbors disrupting the quiet night hours and decides to seek revenge against them. Instead of calling the cops, the protagonist joins one of the night parties in order to brutally murder every guest. The action takes place in a procedurally-generated house of the neighbors, in which you need to kill your victims. To avoid attracting the interest of the police and other guests, you have to lure your targets to isolated places and skilfully kill them, e.g. fake an accident. What makes the title difficult is the fact that you have to cleverly take advantage of your prey and remain undetected for as long as possible. Bomber Crew is a hybrid of a strategy game and a simulator, with some additional RPG elements. Developed by Runner Duck, the game allows the player to assume the role of a WWII pilot commanding a bomber crew. During the game, one has to complete numerous missions, which involve eliminating strategically important military targets and providing reconnaissance behind enemy lines. 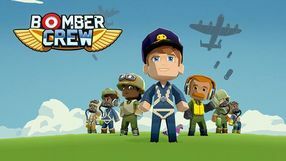 The gameplay is divided into two parts – the preparation stage involves selecting recruits, as a bomber crew has to comprise a pilot, a mechanic, gunners, a radio operator, a navigator, and an ammo supply crewman. The player should pay close attention to the recruits they select, as their death on the battlefield is permanent. When airborne, one has to monitor the condition of both their crew and their plane, as consecutive subsystems might break down – a spot-on shot on the plane’s tail might result in losing maneuverability, similarly to a burning engine. Thus, during each mission, the player has to repair the plane. After completing a mission (when over a target, the player gets to operate the on-board systems in order to photograph the target or bomb it), one has to return home safely – provided he has enough fuel. Bomber Crew is bound to attract players’ attention with its colorful visuals and dynamic vessel damage system.